After much deliberation, I decided to sell my Vitessa despite the excellence of it's fabulous 50mm f2 Ultron lens. It was a hard decision but, after getting the Leica outfit, I realised that you can just have too many rangefinders that you can't frame a scene with. (A wee joke there in case you're wondering). Seriously, though, I felt it was a bit surplus to requirements and I couldn't see me making much use of it in preference to the M2 and Summicron. I've been on the point of selling it for a while now. The Vitessa's viewfinder is small and I had difficulty seeing what I was trying to do with it. My shooting style was to focus using the rangefinder, raise my glasses up to my head in the same way those glamorous women do with their sunglasses when they move indoors, and look through the viewfinder at a very blurry scene but one which is just about clear enough for framing purposes. Sadly, that's now the same regimen I'm using with the Summaron on the M2! The difference is that the Leica's viewfinder is much brighter and bigger so it's not such a pain - plus, it's fine with the Summicron and Elmar. 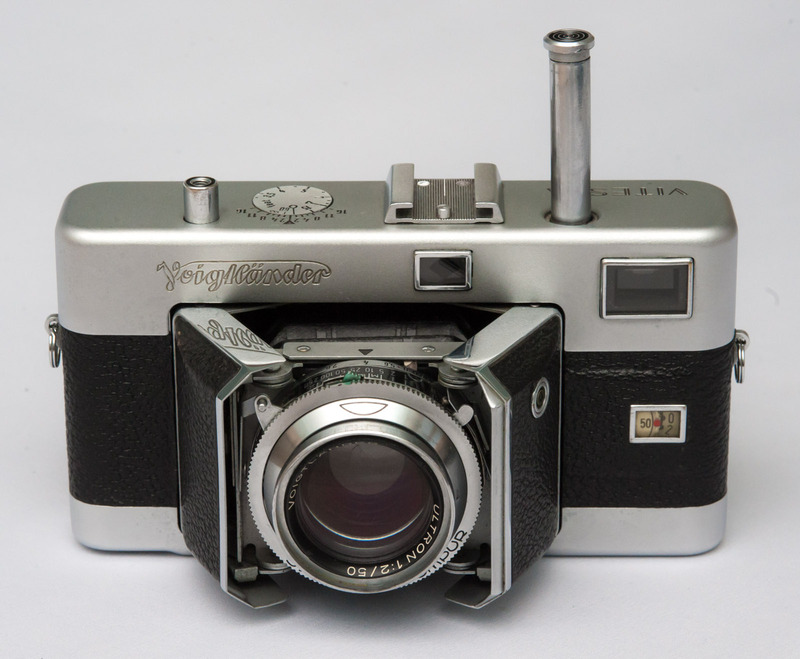 If anyone is thinking about a small, high quality rangefinder then you can certainly do worse than the Vitessa. If you don't wear glasses then you'll probably get on famously with it. It's a well-made but quirky camera but it's the Ultron that makes it for me (other lenses were available but the Ultron is the fastest and best). I'd have loved to have been able to transplant the lens onto the M2. I've tried to reshoot this scene on a few occasions using the 50mm f2 Zuiko macro but have never encountered the same conditions - and maybe never will. It's a local beach just 15 minutes drive away but everything has to stack up before it looks like this. Sometimes the wind will blow sand into the depression that's filled with water in the shot above but usually there's just no water left there at all when the tide is on the wane. 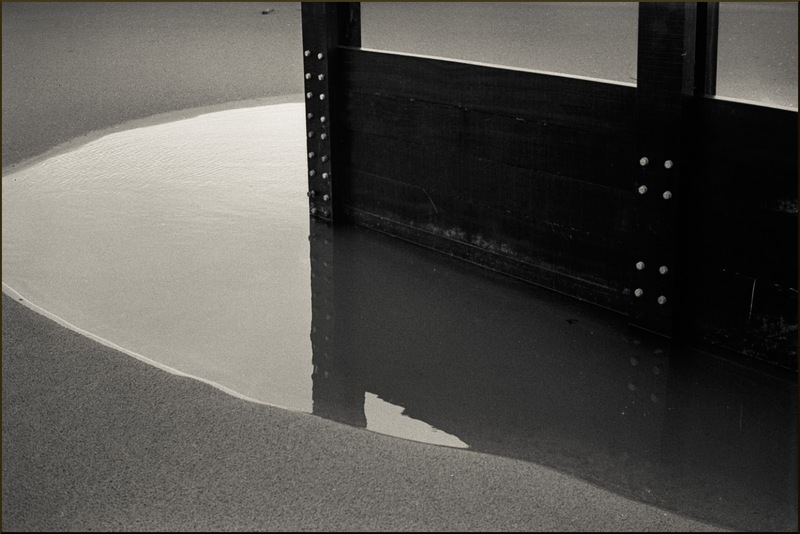 I've since discovered that the high water mark only comes as far up as the groynes when there's been a particularly high tide. Something over a 5m swell is required and most of the tides are smaller than that. So, not only does the depression have to be there and the tide high enough but it can't peak at the likes of 6 a.m. or 9 p.m. otherwise I'll miss it! During the winter months, the scene would be in darkness or at least very low light at those times so I reckon I'll have a better chance once the clocks go forward at the end of the month. Still, whether I get it or not in future with the Zuiko or the Summicron, I'll still have this photograph to remind me fondly of the wee Vitessa.